This summer, I took my first history tour thanks The Durham Museum. 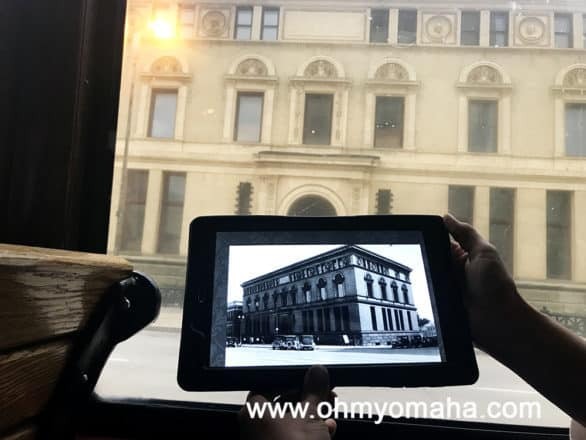 While I’m pretty familiar with Omaha’s history as explained through the museum’s exhibits, this tour was on a trolley and took us past many of the sites I’ve only read about (or wrote about). 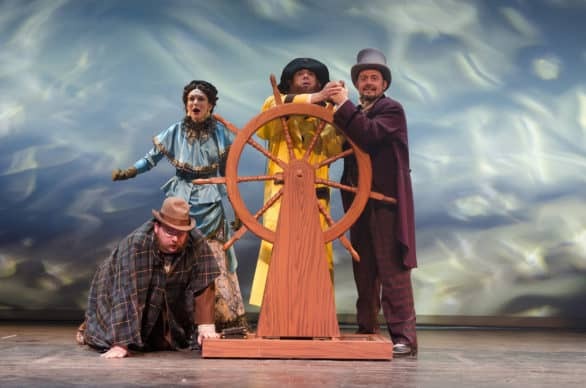 Keep reading – I’m going to share what you can expect if you take a River City History Tour. Disclosure: I was provided complimentary tickets for a tour so I could tell you all about it. This post contains affiliate links. At no additional cost to you, making a purchase after clicking an affiliate link earns me a small payment to help me keep doing what I love best – writing. Thanks! 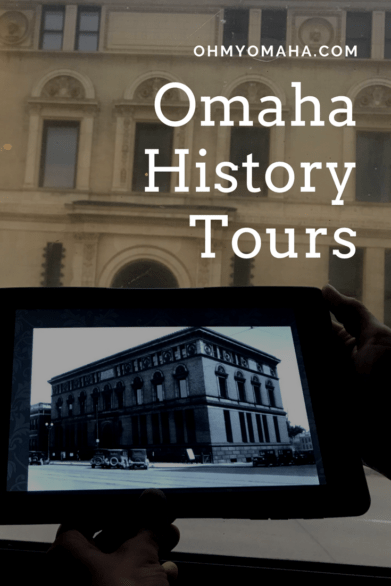 The Durham Museum’s River City History Tours include seven different choices of tours, each exploring an interesting side of Omaha history. Beer? There’s a tour for that. Crime? There’s a tour for that. Each tour starts and ends at The Durham Museum. There’s a tour guide well-versed in history pointing out things along the way and sharing interesting stories related to the tour topic. Some tours include a tablet with photos from The Durham Museum Photo Archive. While some buildings are still standing, many on the Gritty City tour were not, so it was helpful to see photos of how things once were. Guests on some tours, like ours, include are given a tablet with a photo slide show. During the tour, the guide connects the historic photos we see on the slides to places we past. It’s a fascinating way to see history as it was and then see what things look like today. Those tours are: Gritty City, On Tap!, Expositions to Jazz Musicians and The Great Escape. The trolley for each River City History Tour departs and returns to The Durham Museum in downtown Omaha. I brought Mr. 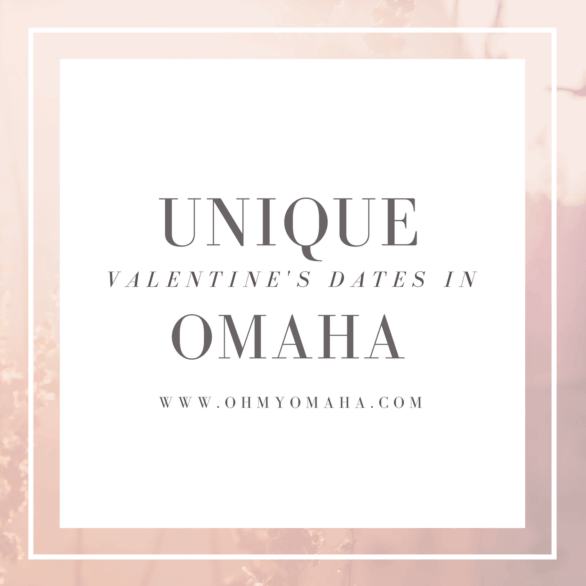 Wonderful with me for a history-filled date night learning about Omaha’s seedier times in the tour Gritty City. 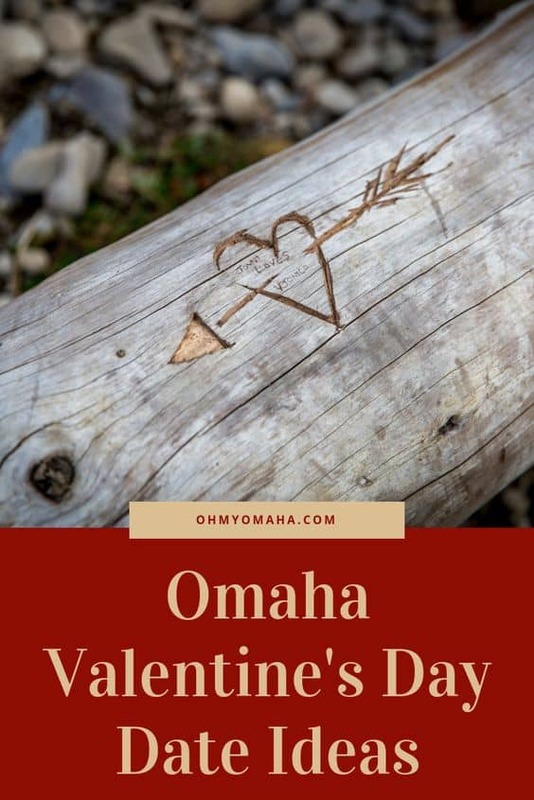 I was hoping for some real dirt, and maybe some things connected to the crimes that happened at some of the restaurants in my book, Lost Restaurants of Omaha. Alas, this was just a taste of crime history, and more about how Omaha grew from a “rough and tumble town” to a thriving city. I think I would’ve enjoyed a tour like “Last Call for Alcohol” if I wanted to hear more about bootlegging and organized crime. 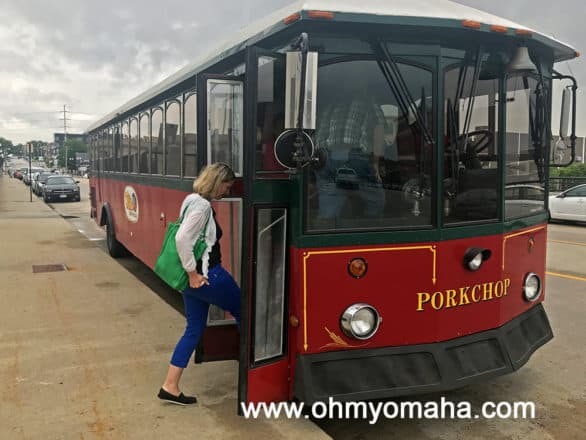 We boarded our trolley, Porkchop, and began the tour past the Old Market and then through more of the downtown area. Our tour included the tablet, which was a great idea. Our tablet was missing some of the photos the guide was talking about, so that got a little frustrating. Tours last an hour and a half. Sunday tours start at 2 p.m. and Tuesday tours start at 6 p.m. We opted for 6 p.m. to make it a date. Of course, we’re lame and did not go out for a night cap after our tour, but the option was there. I wouldn’t take my kids on the tour, but I could see how teens could get something out of the trolley tour if they’re learning about some of the topics in school. There’s nothing necessarily inappropriate about the tour, though some subjects that came up on ours was prostitution and lynching. History isn’t the prettiest. However, given the length of the tour and the subject, young kids are not going to sit well on a trolley. Plus, if your kids are anything like mine, they get SO EXCITED about trolleys, that they would surely be a distracting bundle of energy. applies only to those in the household. 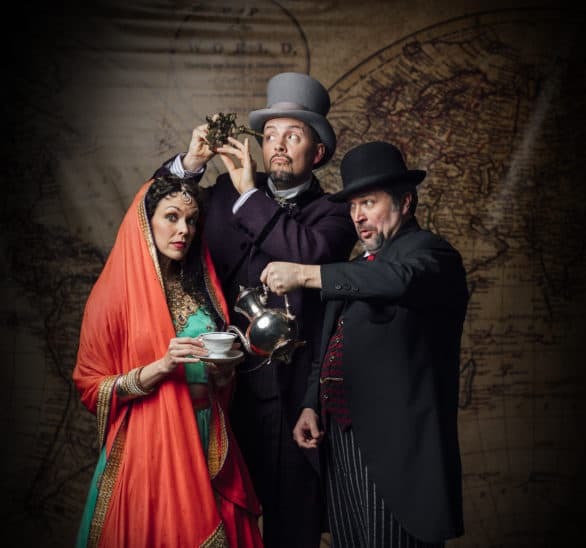 These are the kinds of tours that would make great gifts to history buffs in your life. 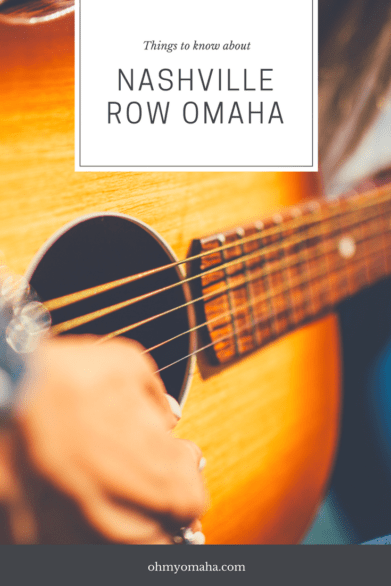 If you have a foodie in your life, take a look at Omaha Culinary Tours. Liked this post? Get more like it delivered! 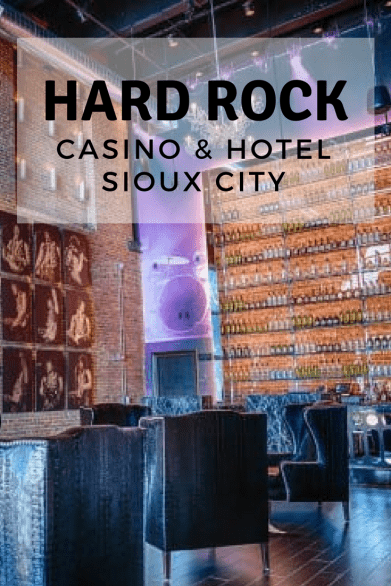 One of Sioux City, Iowa’s star attractions combines live music, good food and Lady Luck: Hard Rock Hotel & Casino Sioux City. 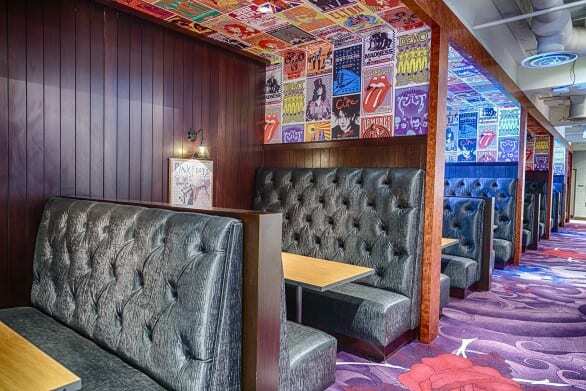 Located a stone’s throw from Interstate 29, the hotel is a themed experience that allows guests to live the rock star life for a night. Disclosure: Our stay was hosted by Sioux City Tourism. All thoughts, opinions and typos are my own. I recently stayed a night courtesy of the hotel. Mr. 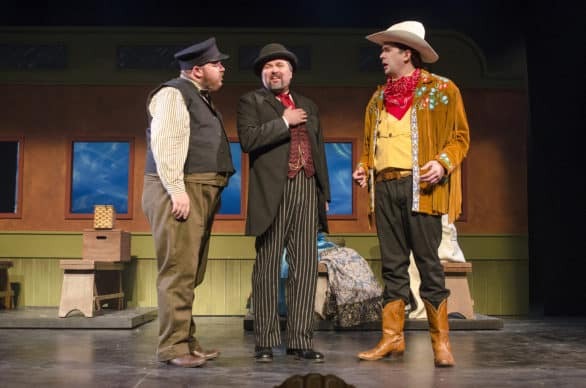 Wonderful and I needed a night off and so we found a sitter for the kids and drove off to Sioux City. 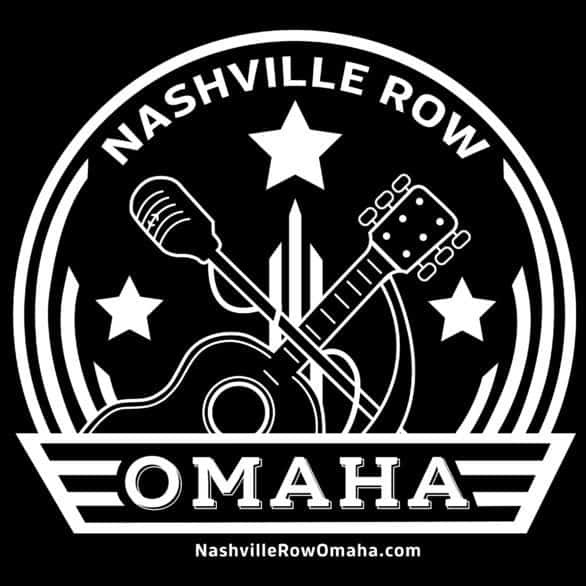 It was a blast and being short (enough) distance from Omaha, it was a perfect overnight getaway. Read about 24 kid-free hours in Sioux City here. Right when you walk in, you see it’s not like most hotels. Jimi Hendrix stares down at you from the wall. The front desk is a bar. And as part of check in, you have the option of getting a complimentary drink to take with you up to your room (beer or house cocktail). 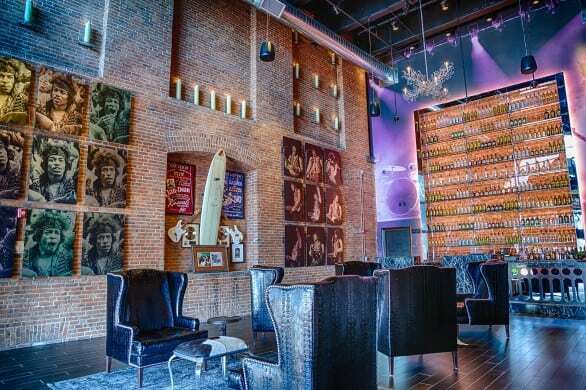 You get the choice of a beer or house cocktail at check-in at the Hard Rock Casino & Hotel Sioux City. Why thank you, Mr. Bartender. Everywhere you walk in the hotel, you see music memorabilia and lyrics. The theme carries over into the rooms. The hall connecting the hotel to the casino and restaurants is lined with music memorabilia. I’m a sucker for a hotel like this. It makes your stay memorable. 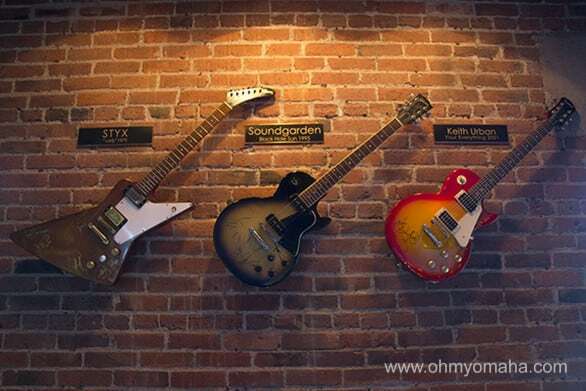 Music fans will love all the memorabilia throughout the hotel. The main floor is especially cool with all the apparel, signed guitars and plaques explaining the significance. Obviously, you’re going to find a lot of autographed guitars here. 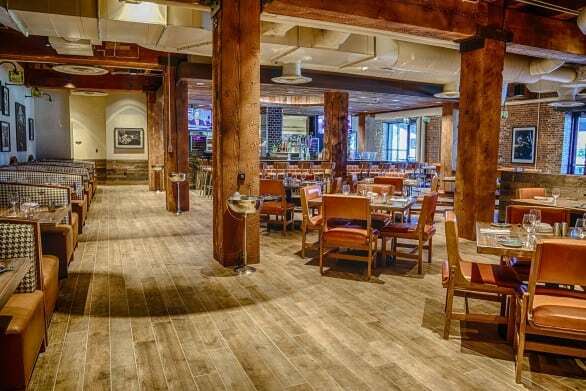 The décor in restaurants, from the buffet the trendy gastropub, Main + Abbey, carry the music theme throughout. The newness of rock is contrasted by the history of the building itself. The hotel portion of the Hard Rock Hotel & Casino Sioux City is located in the Battery Building, which is on the National Historic Register of Historic Places. It dates back to 1905. The combination of exposed brick and concert posters actually works really well. It’s such a great look, especially in the rooms. Our hotel room had vaulted ceilings that made the standard room feel much more spacious. 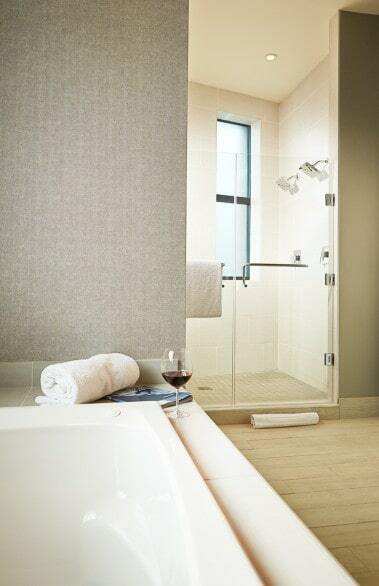 The bathrooms were sleek and modern, with walk-in showers. I felt spoiled staying there. There are three restaurants at the Hard Rock, plus room service. 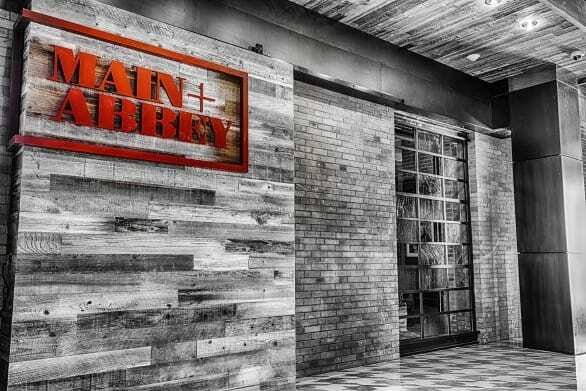 We tried Main + Abbey, which is definitely the Date Night place to be in Sioux City. Reservations would be smart. Rather than order entrees, we split several appetizers and order drinks. If you do the same, I recommend asking them to be brought as they’re prepared rather than all at once. It cuts down on some coming out lukewarm. We had a couple that were cold, and our waiter was super quick to replace the dishes with hot ones. We tried poutine, shrimp pierogies, street chicken tacos and split the onion soup and shrimp bisque. 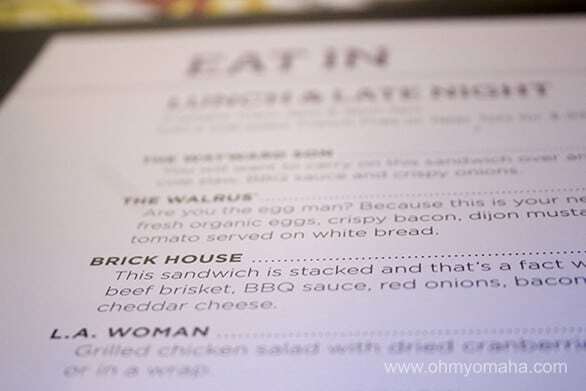 Wondering what to order? The pierogies were so good, the the poitine while heavy, was very flavorful. Those are superb, but next time, I think we’ll go with entrees and just one appetizer. Your meal will include free beer bread and ends with square of chocolate sea salt caramels. Delicious! The Hard Rock Hotel & Casino has a big buffet, and whenever I walked by it, there was a line to get in, so they must be doing something right. 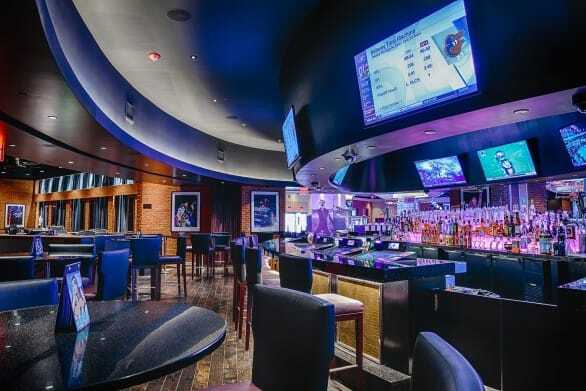 There is also a grill within the casino called Fuel, where you can load up on burgers and the like. Room service looks to combine the offerings from Fuel and Main + Abbey, with clever names thrown in to keep the music theme going. 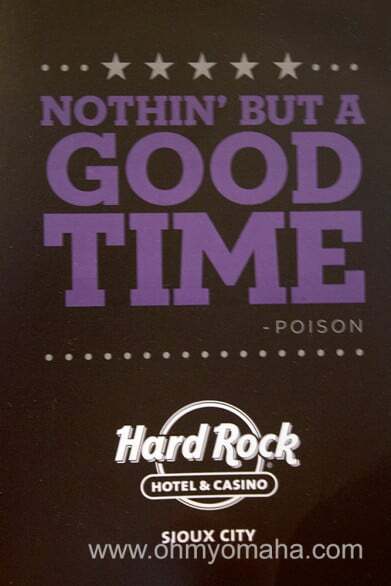 The room service menu at the Hard Rock Hotel & Casino. This is a hotel and casino combo, so a lot of people are there to gamble. That’s not my scene, so I ventured in only briefly. It’s a very popular spot that Saturday night. If you’re hoping to avoid the casino part, it can be done easily. 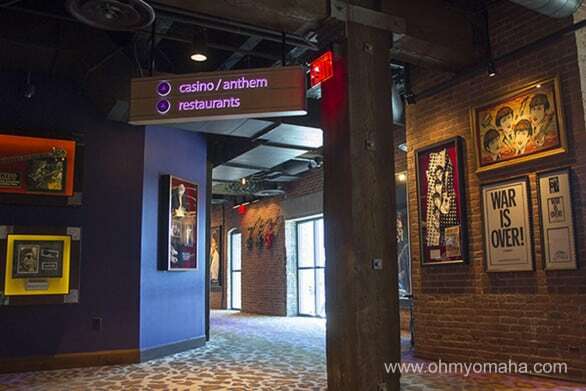 However, if you’re hoping to see a show at Anthem, you’ll have to enter the casino to get there. Anthem is a large venue that looks deceptively small from the outside. During our visit, we saw Jon Lovitz (thank you, Hard Rock, for the complimentary tickets!). There is a nightly show there from music to stand up. You never know who you might meet at the Hard Rock. Lovitz stopped into the karaoke party the night before his show. 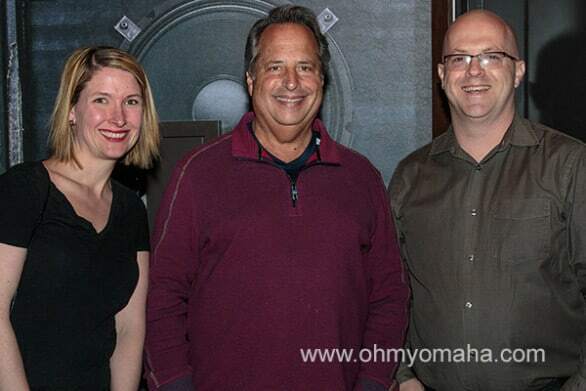 This photo with Jon Lovitz was not taken at karaoke. 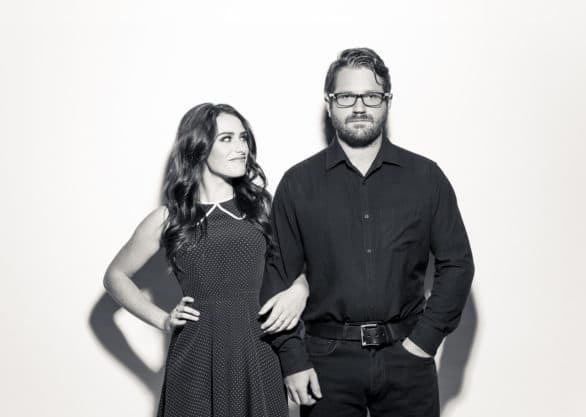 There are tons of shows on the calendar, but one annual event to keep on your radar is Saturday in the Park. Held in July, this is a free, all-day event presented by Hard Rock Hotel & Casino features huge acts. The 2018 Saturday in the Park is July 7 with Jason Isbell and the 400 Unit headlining. Get more details here. 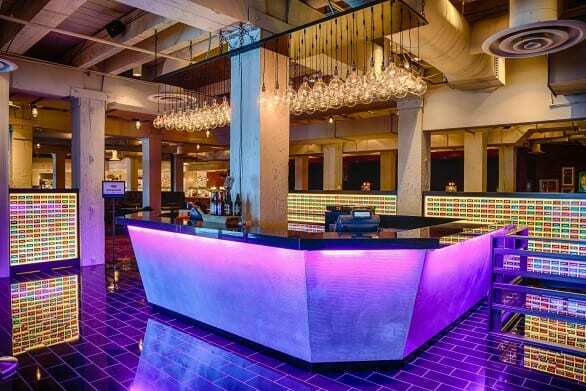 This is decidedly an adult playground, from the drinks at check in to the casino. The pool is outdoors and seasonal, so only pack your suit if you’re staying between Memorial Day and Labor Day. There is gift shop where you can get your Hard Rock gear. And if you’re the guilt-ridden kind of parent, you can get a cute teddy bear or something for the kids you left at home. 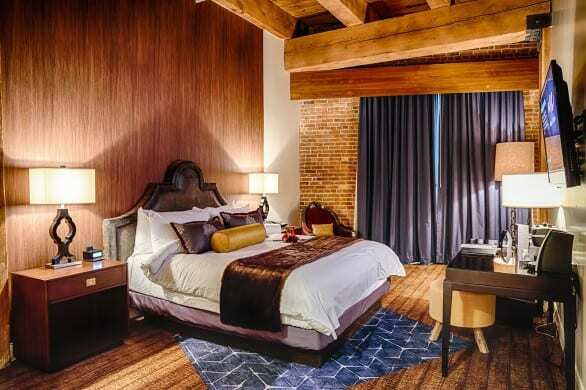 The hotel is within walking distance to some bars and restaurants, as well as some of the city’s other great attractions: Sioux City Art Museum, The Public Museum, and a cool trail along the Missouri River. There’s also a movie theater and the Orpheum Theater nearby. Again, it’s all walkable (unless the weather stinks). It’s also near Jackson Street Brewing if you’re into trying local beer. Cost: Rates vary depending on the season and day of the week you stay. It’s high-end so expect high-end prices. Comparing different dates, you can save almost $100 staying during the week than on the weekend.